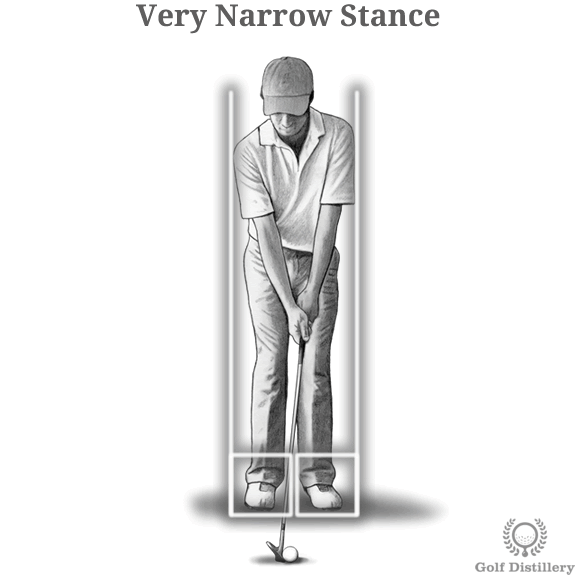 In addition to how they are positioned relative to the ball, your feet can also vary in how they are positioned relative to each other and specifically the distance between them. Indeed, they can be placed very near one another in a narrow stance or they can be placed far from each other in a wide stance. Choosing which stance applies to what circumstances is detailed below. A normal – or default – stance is one that sees the distance between your feet match the width of your shoulders. Technically and to be more precise, the outside of your shoulders should line up with the middle of your feet in order for such a stance to be considered normal. Because this is the default athletic position in golf in can be used for most ‘normal’ shots. Erring away from that position is done in order to achieve specific objectives or because specific situations require it. Those situations are detailed below. 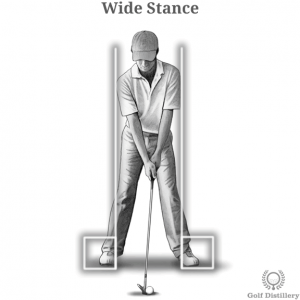 In order to assume a wider stance you will need to position your feet further away from each other that you normally would. 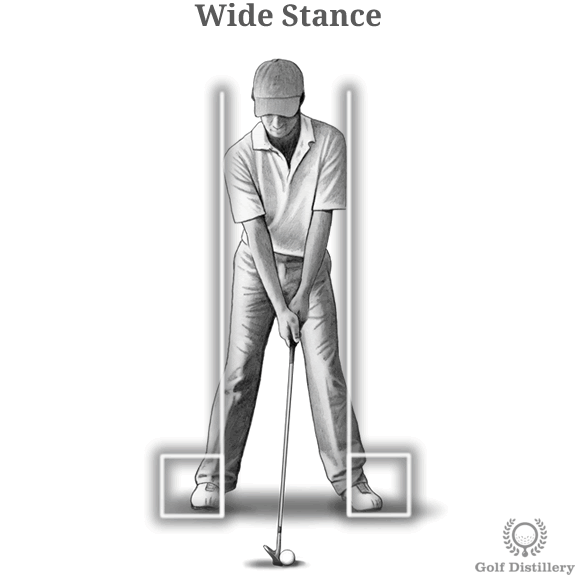 Specifically, a good wide stance sees the outside of your shoulders line up with the inside of your feet. 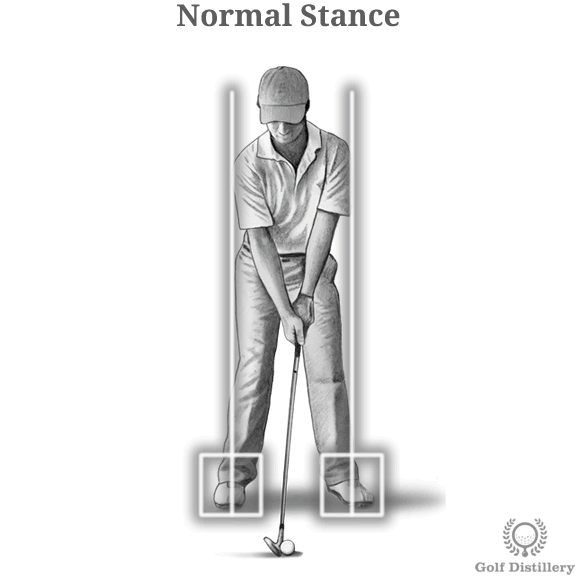 Adopting a wider stance lowers your center of gravity slightly, allowing you to become more stable on your feet as you address the club on the ground and as you execute your swing. 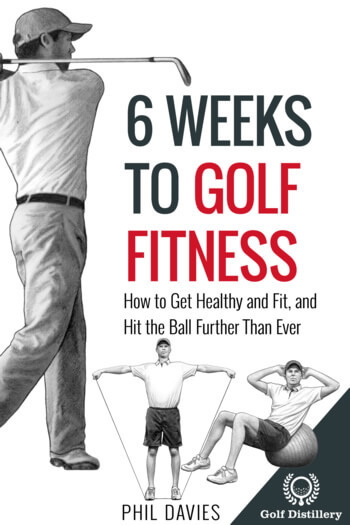 This gain in stability is particularly helpful in very windy days, allowing you to confidently go about your swing without fear of falling off balance. It is also helpful whenever your feet are on a sidehill, again helping you maintain balance. 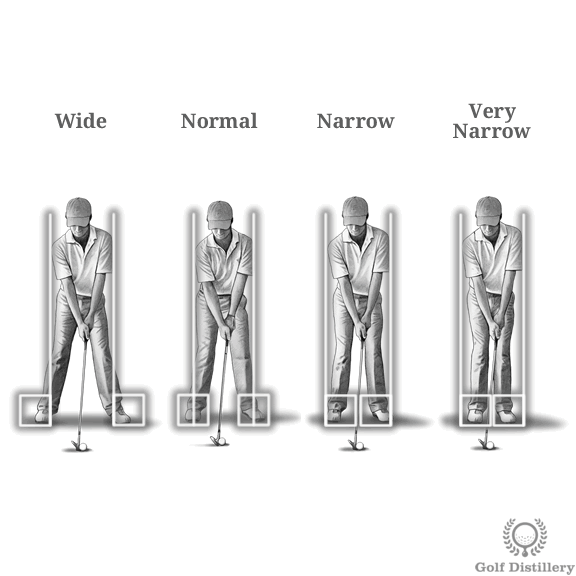 More generally, it is recommended to adopt a wide stance whenever you are using longer clubs that demand wide and full swings. Specifically. drivers, fairway woods are best used with a wider than normal stance. Another effect of lowering your center of gravity is that it tends to lower the bottom of the swing arc. This in turn can lead to greater odds of hitting fat shots – where the club penetrates the ground before making impact with the ball. 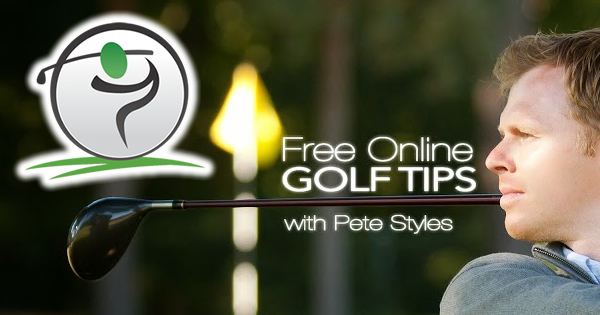 As a result it is generally best to avoid using a wider stance for delicate shots using short irons and wedges on grass. However, a swing arc that favours hitting it fat is exactly what is sought for greenside bunker shots, where the club is meant to travel below the ball and push the sand up. 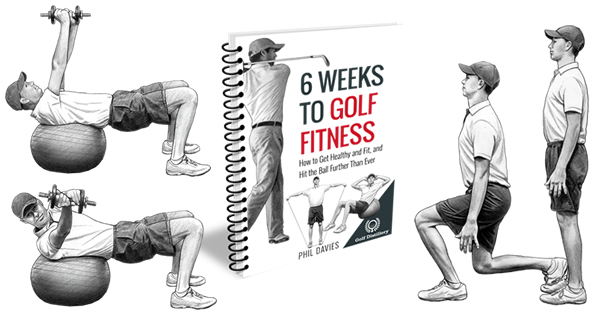 Finally, a wide stance can also inhibit hip and shoulder rotation or at least it can make those movements slightly uncomfortable. Because of this you should be careful that swaying is not allowed to creep into your golf swing, a golf swing error that replaces hip rotation with unwanted consequences. In order to adopt a narrow stance you will need to position yourself so that width of your shoulders matches that of your feet. Specifically, you will want to see the outside of your shoulders line up with the outside of your feet. 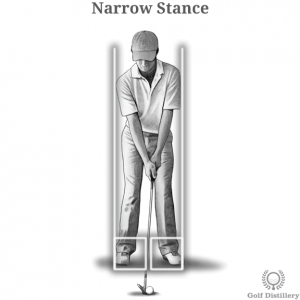 Narrowing your stance will lead to a higher center of gravity, at least compared to a normal and wide stance. This adjustment will lead you to feel less stable on your feet than you would otherwise. As such, it is best reserved for smaller clubs or for smaller swings and is best avoided for long clubs and wide swings. In contrast to a wide stance a narrow stance will make it easier for your hips to rotate, or at least it should make it more comfortable to do so. 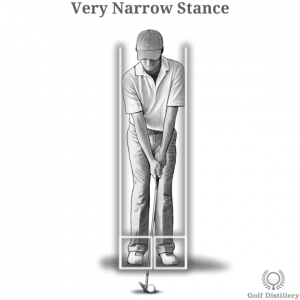 Certain types of shots require a narrower stance still. In order to adopt a very narrow stance you will need to position your feet so that the width of your shoulder dwarfs the distance between them. Specifically, you will want to see the outside of your shoulders line down well outside of the outer edges of your feet. 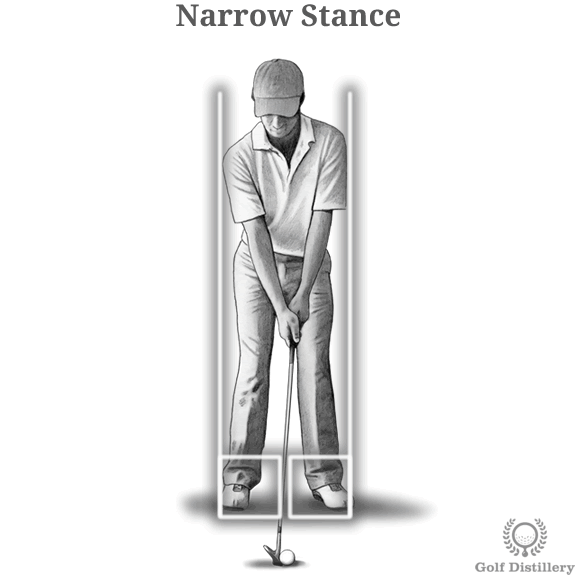 A very narrow stance features the highest center of gravity, which in turn makes it a very unstable position. As such, it is best used with very delicate shots that require the smallest of swing amplitudes. For example, small chips from tight lies can be best performed with such a stance while a long drive will almost see you losing your footing in the process of executing your swing.